Maximise your experience in Morocco by going on tours or excursions from Marrakech. 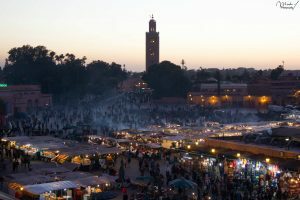 Marrakech & the surrounding area offer a wide range of activities and experiences. Only in Marrakech can you be in the city one day, the beach the next, visit North Africa’s highest Waterfalls on one day and be riding Camels in the Sahara desert on the next day. There’s a great range of Marrakech excursions and day trips which will help you to get out and about and experience the Marrakech region of Morocco. For those who wish to explore the adventure in Marrakech, there is plenty to do in and nearby the city, some being perfect half day experiences – leaving you free to enjoy the rest of the day relaxing. Of course, if you want a full on full day adventure, it’s also possible. Shared group excursions from Marrakech are a great way to enjoy the Marrakech region. With daily departures, shared group excursions allow solo travellers and small groups to join pre-existing excursions.